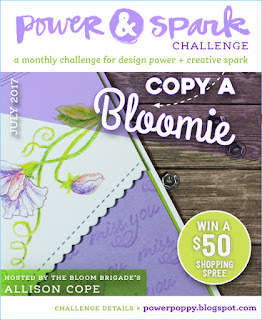 Over at the Power Poppy blog the challenge this month is to CASE a card by a Bloom Brigade member. For those who aren't familiar with the term, CASE stands for Copy And Share Everything. You create a project based off of someone else's project. Most of the time this is a good thing! For my card I changed the colors to darker colors, since I'm pretty traditional when it comes to Christmas. I've hoarded this DSP from SU for many years so it was perfect to break out for this card. I kept the basic layout and just changed the border along the middle panel to a scalloped one. The oval image panel seemed too stark to me against all the papers so I used a sponge to put Old Olive around the edges. The camera didn't pick it up but I added some Wink of Stella to the Santa ornament and used a white gel pen to add some snow to the branch and the tree in Santa's arms. What a great CASE - your card is very nice. Love your color scheme. So festive! 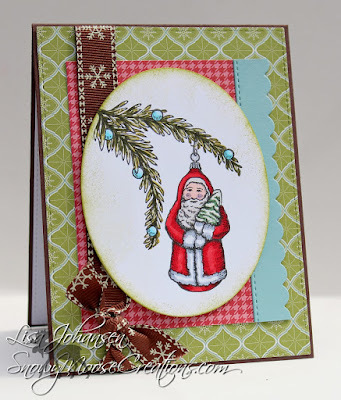 Lisa, this is gorgeous, and I love your beautiful coloring, layout, and perfect CASE of Julie's card! I especially love the "snow" you've added to the pine needles! Stunning card! Hugs! Lisa your Santa is perfect as is your case. I like seeing Christmas cards all year, this is perfect. 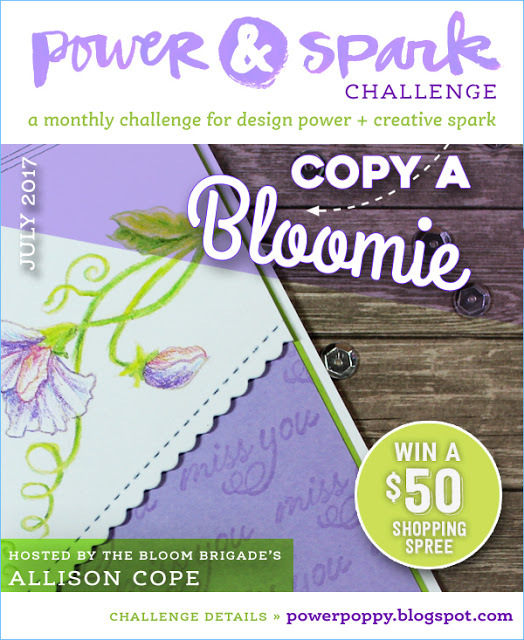 Thanks for playing in our Power Poppy July challenge! Love your take on my card! So honored you picked one of mine Ms. Lisa! I actually like your Santa card better than mine! 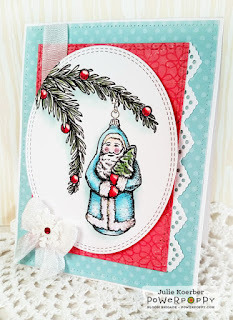 Fun color scheme and fabulous coloring as usual! :-) So glad you played along!